Today I am sharing with you my brand new, ready to go ebook: The Modern Homestead: A Guide to Starting Your Journey. I must admit that I am giddy with excitement (and a bit of nerves) as I get ready to send this little, first attempt at a book out into the world. Over the last few years, as my family has moved further and further into the world of homesteading, so many ideas, challenges and dreams have presented themselves. This book is a result of my thoughts, ideas, experiences and research around homesteading, and the process of deciding how to get started. 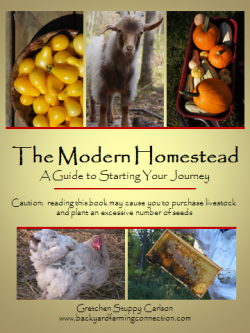 The book starts with an overview of modern homesteading and includes brief descriptions to help you get started gardening, raising animals, practicing homeskills, and decreasing your energy use. 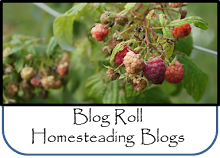 It then describes the challenges that may be keeping you from homesteading, and helps you set goals and get started on achieving your goals. Since this book is not designed as a complete homesteading handbook, throughout the book I suggest resources to help you move forward and learn more about creating your own modern homestead. Today, the vision of homesteading as strictly a self-sufficient, agrarian lifestyle is being revisited by people everywhere. All around us people are connecting with the earth by redefining what it means to homestead. For some, homesteading is as simple as growing a few herbs in their apartment and choosing to buy their eggs at the local farmer’s market. For others, homesteading means cashing it all in and heading for the nearest piece of rural land. There are countless ways you can embrace the idea of self-sufficiency while still maintaining a modern lifestyle. Simple actions such as raising (some of) your own food, choosing local products, and supporting renewable energy are just some of the ways you can achieve the dream of homesteading. 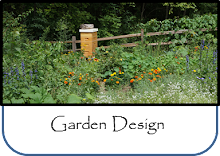 When you homestead, you live your life in a way that best connects you with the natural world using the space, time, and resources available. Whether you are choosing to homestead for environmental reasons, financial reasons, emotional reasons, family reasons, or for no good reason at all, you are choosing to live simpler. A modern homestead is more than the place you live - it is a way of life. When we think of homesteading from this perspective, we suddenly open the door to all the possibilities available to us. 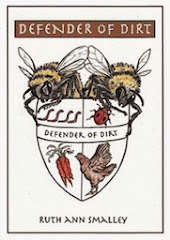 In order to be a homesteader; you simply need to think and act in a way that better connects you to the natural world. At the heart of homesteading is the idea of raising your own food through growing plants and raising animals. But homesteading is more than this. 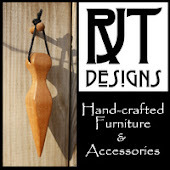 It is recognizing the choices we have in energy usage, relearning skills in the kitchen, using basic home skill techniques (such as knitting, sewing, and basic woodworking), and simply living your life conscious of the impact of your actions. Gretchen - congratulations!!! I am so excited and happy for you. I have printed out the book so I can start reading it over my lunch break today and make notes (I'm a note taker haha). I can't wait! Gretchen - I have already read through your ebook since I couldn't put it down, and I love it! I really appreciated the fact that it was a quick, easy read and great for a broad overview of homesteading. I like that you included resources for delving deeper into certain topics if you'd like. I think many people will find this useful, no matter if they are just starting to think about homesteading or if they consider themselves seasoned experts. I enjoyed how you put in your own experiences in the "How we see it" sections so others can see real-life examples of what homesteading looks like. I'm really excited about using the worksheets tonight with my husband so we can iron out our dreams and goals for the future. 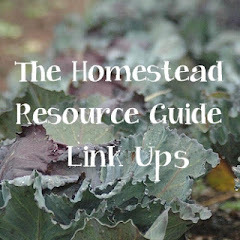 Thank you so much for a great homesteading resource! Lovely book. I, too, have printed it out and already have it read through for the first time. Note: FIRST time. 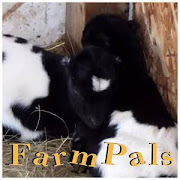 I love that it's easy to read, and takes in all levels of homesteading experiences, addressing newbies and those with little acreage as well as seasoned farmers. I think it will be a lovely reference book--do I really want goats? Maybe--let me check to see the pros and cons--and I like the suggestions, the layout and easy to find references. Very, very nice. So glad you enjoyed it! Writing it really helped me solidify my own goals. Looks like a great book. I may have to find! Congratulations Gretchen, so happy for you. Can't wait to read it! We just started homesteading at our city home last summer. We put in a garden and then added a coop and 3 chicks. I just found your blog and I'm sure I'll pick up some great tips. Take care! 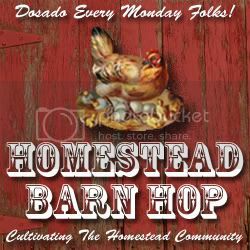 So glad you're here - I would love to hear more about how your homestead progresses! I can't seem to get the button to work on either of the newsletter signups. Hmm - that is odd, I just tried it and it worked - which ones did you try? The one in the sidebar?